The year is 1952. World War II is over; the Korean conflict is winding down. With scars that are still fresh, thousands of servicemen are back home and the post-war economy in Lansing, Michigan is booming. Jobs are plentiful and hundreds of new homes are being built on Lansing’s south side where newly married couples are starting families. Virgil Felton and the organization he leads, New Churches of Christ Evangelism recognize that there is a need for churches to be planted in Lansing. So Virgil contacts his friend, Herb Owens, and challenges him to plant a church on the south side. Herb and his wife, Doris, agree and, one a crisp October morning in 1952, South Lansing Church of Christ is planted. 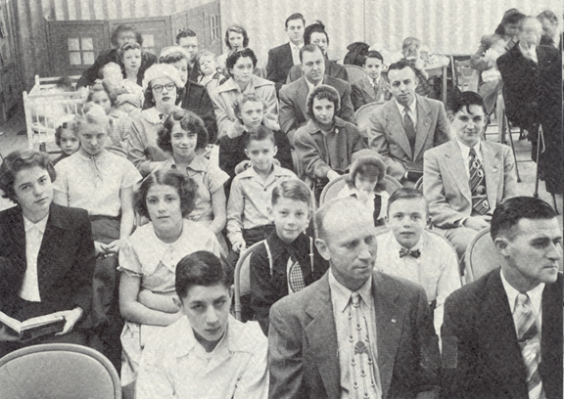 After meeting in the local elementary school, the church builds its first church building at the corner of Maple Hill and Pennsylvania Avenues, where the church would meet for the next fifty years. Like most Christian Churches and Churches of Christ, South Lansing Church of Christ was founded in the tradition of The Restoration Movement, a group of churches that seek a simpler way to follow God, by embracing the principles on which the first church was founded. We moved to our current location in 2003 and, in 2007 began an intentional focus on seeking, studying and serving God. This focus was further sharpened by our vision to reconnect our community to God’s story, one person at a time, by creating environments where people can seek, study and serve God.